Filtered: Only entries tagged as Shopping displayed. And just for fun, here's one of my personal favorites; I like it so much I even bought one for myself! Cafepress tells me today is the last day you can order from them using economy shipping and expect to get your purchase in time for the holidays. So order now, for God's sake! Before it's too late!! 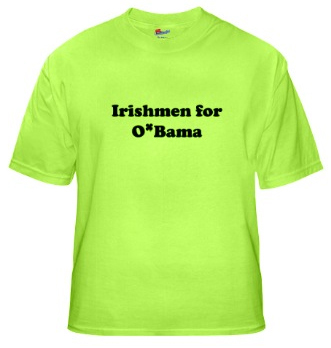 Free shipping today only at Cafepress. Just use the coupon code FEMHOL14 when you check out. Now get shopping! Just got an email from Cafepress saying if you spend $50 or more on apparel now through Sunday (11/23), you get free shipping. Use this coupon code: FEMHOL8. My brother, because he is cool, made an awesome logo for the store, which you can see if you click on over there. I also used his art to create a couple of banner ads for the shop that will now appear randomly along with the usual Hulk banners at the top of the page on my site. If you were to put one of those banners on your own site, I would love you forever. 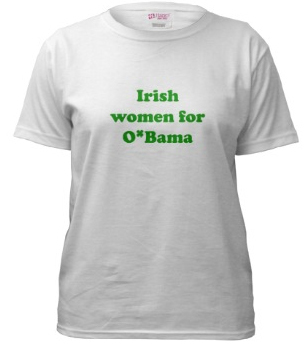 There's also another new shirt in the shop (the womens' equivalent of the "Irishmen for O'Bama" shirt I created a while back). I'm not sure it's going to make a lot of sense to keep those shirts on sale after the election, so buy them soon before they're gone! 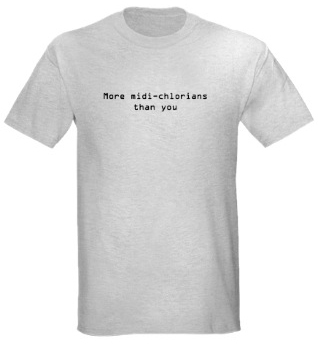 Also, keep in mind that the holidays are coming up, and a shirt from Fëanor and Poppy's Cabinet of Wearable Curiosities would be a unique and amusing gift! Okay, I'll stop with the ugly, naked attempts at advertising now. Remember The Critic? That was a great show. I have the entire series on DVD if you want to borrow it. Anyway, there was a Misery parody episode where his biggest fan had kidnapped him and was keeping him captive in her apartment. She had all of his memorabilia, including a cardboard stand-up of him that had been in bookstores for a very short time. It was quickly removed from stores because it was incredibly annoying: it had a recording of his voice saying over and over again, "Buy my book! Buy my book!" I feel like I'm doing that about my T-shirt store. "Buy my shirts! Buy my shirts!" Anybody have any good ideas for advertising the shop without being too annoying, or spending too much (read: any) money? You know the hardest thing about making T-shirts? Picking the font. Cooper Black is turning out to be my default, fall-back font. Which surprises me because I don't think I'd ever even heard of it before I started making T-shirts.